If you owe the IRS money for unpaid taxes, you could be putting your passport in danger of being suspended or if you don’t have be refused one should you apply for a passport. Under a new law issued in December 2015, the US Congress and President Obama have given the IRS powers to revoke passports so that they can collect unpaid federal taxes. With a staggering national debt and budget deficits, it’s easy to see why US lawmakers made this happen. Buried deep within the FAST Act Highway Transportation Bill, is a brand new power that the gives the IRS the easy ability to have your passport cancelled if you owe $50,000 in unpaid federal taxes or more. Of course the IRS thinks it’s important that US Citizens should pay their taxes and now have the ability to make sure that people do especially if they want to leave the country! The new rule will also hamper the issuance and renewal of US passports if the applicant owes substantial taxes. 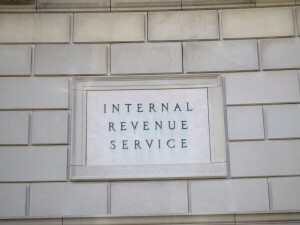 The IRS doesn’t have to get a judge’s okay or even a court review to revoke someone passport, in most cases a passport will be rescinded simply if a lien has been filed. It also doesn’t give taxpayers the chance to fight the IRS’s decision in court before their passports are yanked and cancelled, why not? because the IRS, unlike our criminal justice system operates on a “guilty until proven innocent” mode. The IRS recently reported that there were more than 12 million such accounts that owed a total of $131 billion dollars in 2014 alone. This staggering number includes the federal taxes that people owe along with interest and any related penalties that were continuing to accrue over time. The IRS is looking at the individuals’ total unpaid tax debt when deciding to cancel a passport. It should be noted that these new passport-related rules don’t affect people who have already entered into some type of agreement with the IRS to pay their unpaid taxes. If they have made an offer in compromise or if the taxpayer has already set up some type of installment agreement in an effort to bring their account to good standing, they would be able to proceed much as they always have without fear of being denied exit or entry to the United States. So travelers be warned – Pay your federal taxes or the tax man will take away your passport! We are veterans of the travel industry and have been in the business of helping others obtain their passports and travel visas for many years. We know just about everything there is to know about passports.